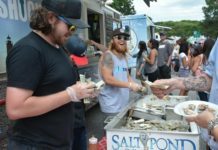 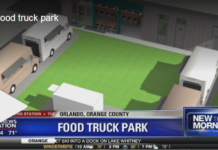 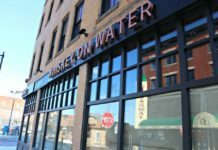 Food trucks from across the state are being invited to park in the back lot and serve exclusively to Whiskey on Water patrons on a weekly rotation. 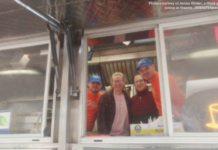 The owners say they've partnered with some trucks already, including the popular Worcester truck The Dogfather, but are inviting more to apply. 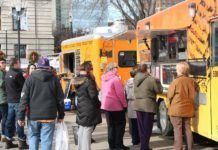 The smell of hot dogs, grilled cheese, chili and sandwiches filled the Worcester Common Thursday afternoon as people gathered around three area food trucks for lunch. 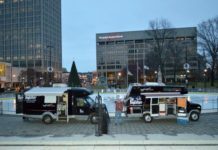 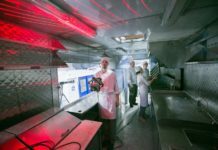 The first food trucks to try Worcester's new pilot program -- The Dogfather and Say Cheese -- rolled out onto Humboldt Avenue on Friday. 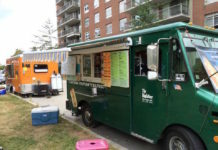 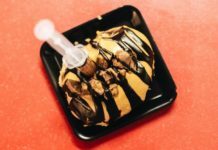 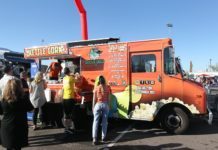 In addition to where food trucks could go, the city also has to determine hours of operation and frequency of health inspections, a letter to the City Council states from Economic Development Director Michael Traynor. 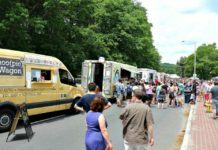 Long lines were at nearly all of the trucks that lined Park Avenue from Elm Street to Highland Street. 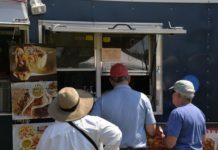 Although the sky looked like rain would pour any moment, a crowded Elm Park was dotted with families sitting on the grass, playing, eating and listening to live music. 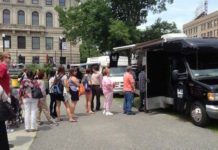 In Worcester, where 74 percent of public school children are eligible for free or reduced priced meals, there were 42 distribution sites (31 of them open and 11 requiring pre-registration), including the city's main library in Salem Square and at branches. 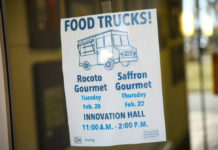 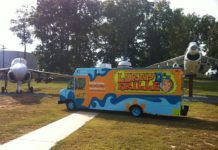 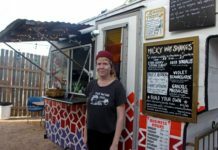 The food truck stopped at more than a dozen of those sites Monday through Saturday. 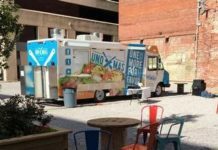 Worcester, MA: New Food Truck Has Important Mission in Worcester, Mass. 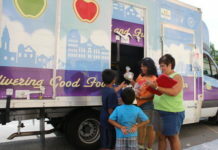 The new truck is being run by the Worcester Public Schools in partnership with the Worcester County Food Bank.